Earlier today, crews shut down Neil Street to repair a burst water main. Now, officials are asking people in nearby neighborhoods to boil their tap water. Properties located along both sides of East 6th Avenue are affected. 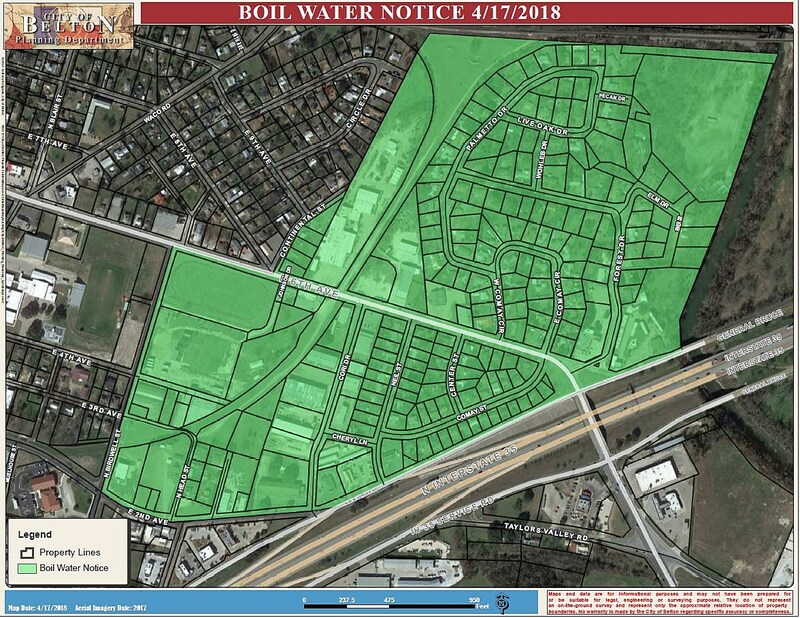 To the south, water customers from the I-35 frontage road to Birdwell St. and 2nd Ave. are cautioned to bring their water to a vigorous, rolling boil to ensure the destruction of potentially harmful bacteria. To the north, the same applies to customers from Continental St. to Forest Dr., including Palmetto St. and River Dr. The City will notify customers when it's safe to stop boiling. Click or tap the map if it appears too small in your window.